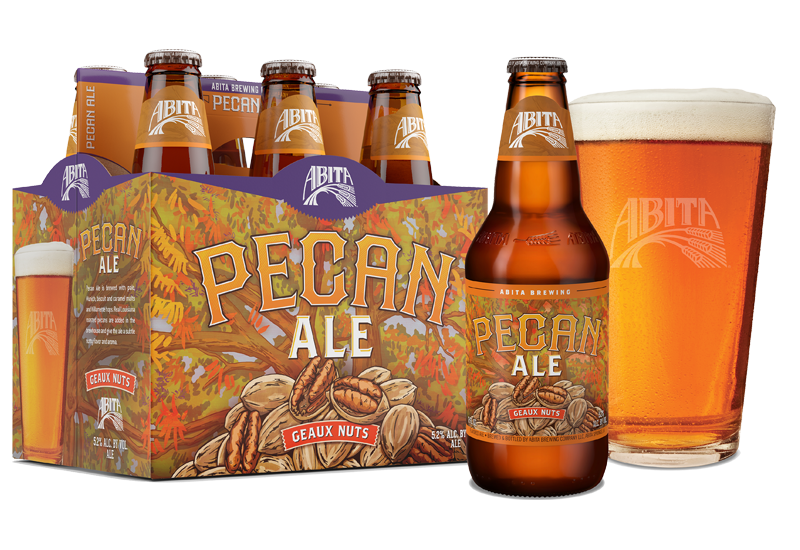 Pecan Ale is made with real Louisiana roasted pecans for a subtle, nutty flavor and aroma. It’s brewed with pale, Munich, biscuit and caramel malts, and Willamette hops. The roasted pecans are added in the brewhouse. Crack one open and geaux nuts!